Recycling UK has been awarded the Export and International Trade Award at The West Cheshire and North Wales Chamber of Commerce Annual Ball and Awards 2018. The firm’s managing director Neil Clarke said that it is a real credit to the team at its Tarporley office given the “difficult trading conditions and shipping constraints at times over the last 18 months”. He added that everyone worked together to ensure that the company had new export markets set up for material sales to cover the Chinese ban on mixed paper. With the help of Rick Waterson who is the managing director of the group’s subsidiary Materials Recycling & Consultancy, the group have opened up new markets for material in Europe by working with paper mills and has increased sales to India through its partnership with Paperworks India this year. 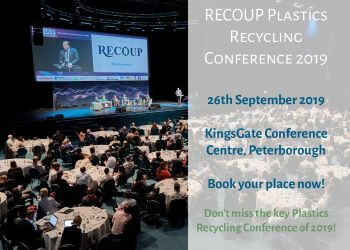 Recycling UK commercial director Simon Marsden was unable to attend the event,but said that it is pleasing that the company have been able to work with a strategic partner in China to “produce the quality required to be accepted as a main supplier under the new strict Chinese grade specifications and inspection regimes”. He said that the hard work is showing as over 60 containers per week are being shipped to China from two locations. Rick Waterson added that although the UK market is important and will always be supported, export is important to the sustainability of the paper recycling sector in the UK by allowing the firm to sell the large surpluses produced.